Home Fab Lab News MAKE SMTHNG Week! It is an international festival of making that challenges our consumerist culture – instead of going shopping, we will spend quality time with friends, family and our community. 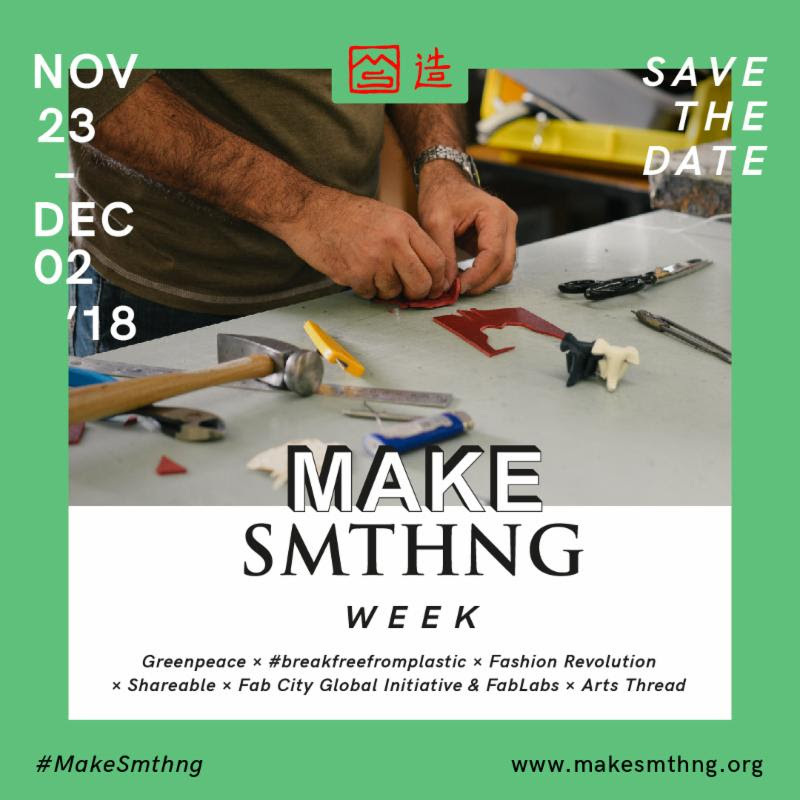 We create events where we teach each other new skills and fun, creative and beautiful ways to make the most of the resources around us: by sharing, repairing, making and doing it ourselves we transform old things into something new and awesome. Together, we can step out of our wasteful overconsumption and give our beautiful Earth a break! The event is in association with the Fab City Global Initiative, Fab Foundation, Fab Academy and Greenpeace.